The Exigo Recumbent Leg Press is a strength training machine. It is part of our selectorized Lower Body range and is used to specifically target and strengthen the leg muscles. This machine aims to deliver a more effective workout to the hamstrings, quadriceps, calves, and glutes, whilst also reducing the stress placed on the delicate knee joint. The Exigo Recumbent Leg Press is a simple yet effective and efficient way of working the larger leg muscles. Regular use of this machine will help to protect users from injury. A comfortable angled back pad helps to distribute weight more evenly, reducing the load transferred through the spine. The wide anti-slip footplate provides added stability for improved performance, whilst the adjustable carriage accommodates various starting positions. 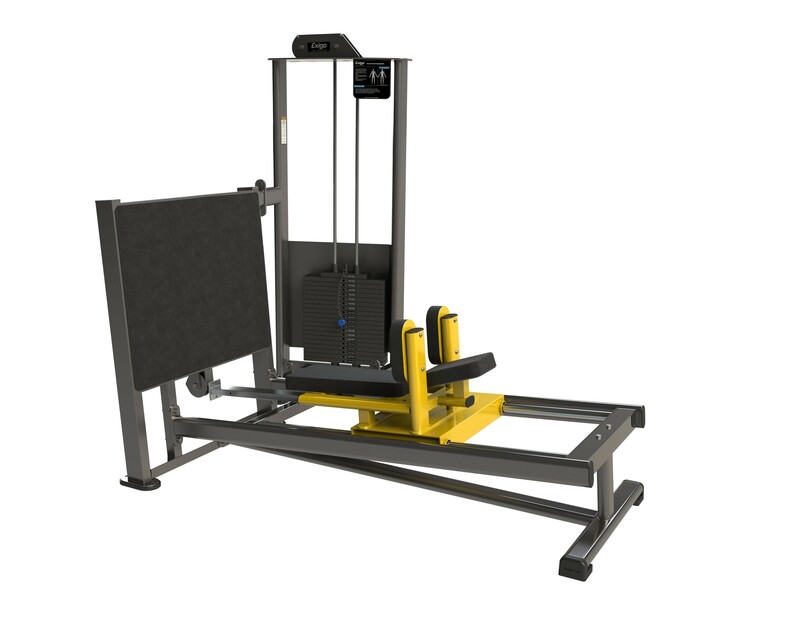 Designed and manufactured in our UK factory, this exceptional piece of gym equipment not only looks the part, but is user friendly and constructed to withstand the conditions of a busy commercial gym environment. This machine boasts a high quality finish, hard-wearing upholstery and a robust frame. Engineered using optimal components, the Exigo Recumbent Leg Press is a pleasure to use due to its smooth movements. Whether you’re a seasoned athlete or gym novice, this machine will enable you to achieve superior results. Suitable for any strength and conditioning facility, gym or home gym. Suitable for any strength and conditioning facility, gym or home gym.